Can you believe it’s back-to-school time already? Although it feels like the summer has just started, it is slowly coming to end end! To help ease you into thinking about getting ready for school this fall we’ve gathered together 20 of our favorite back-to-school projects to sew. Any kid would love a little zipper pouch friend of their very own! 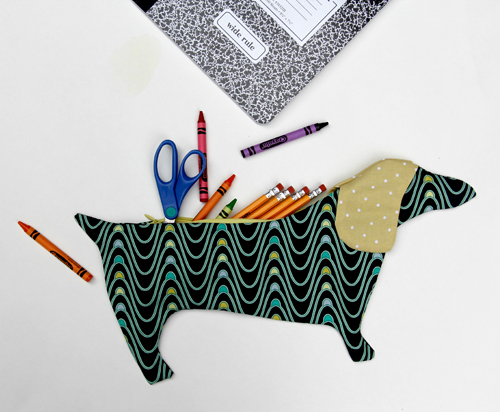 Find the tutorial to make a Dachshund Pencil Case here. 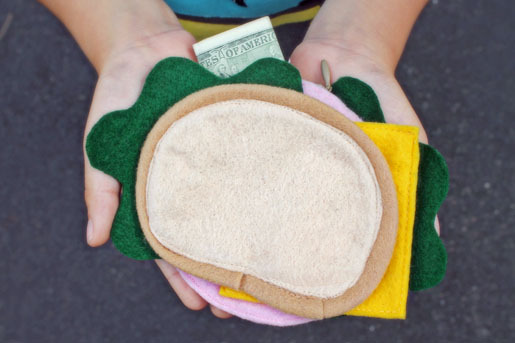 Make a zippered money pouch to hold lunch money that looks just like lunch! Find the DIY Lunch Money Zipper Wallet tutorial here. 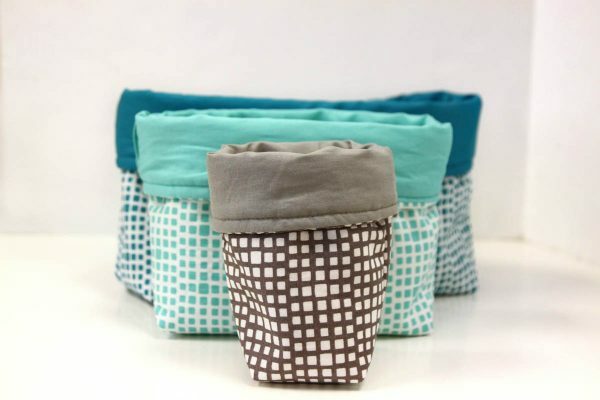 This reusable sack for lunches will help keep paper bags out of the trash! 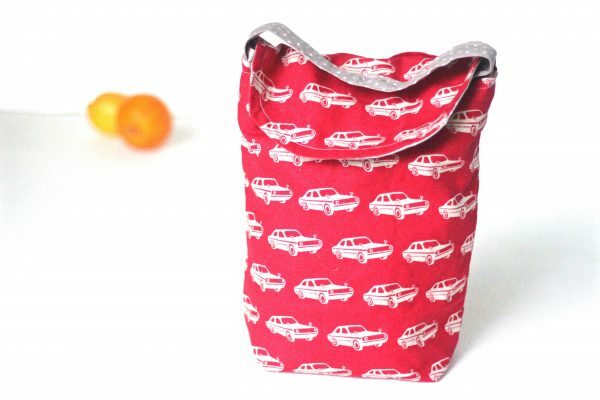 Get the environmentally friendly and Reusable Fabric Lunch Bag tutorial here. 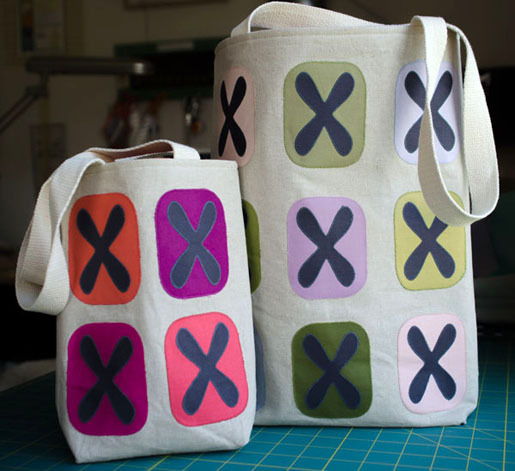 This fun tote pattern comes in two sizes, one for big kids and one for the little companion! 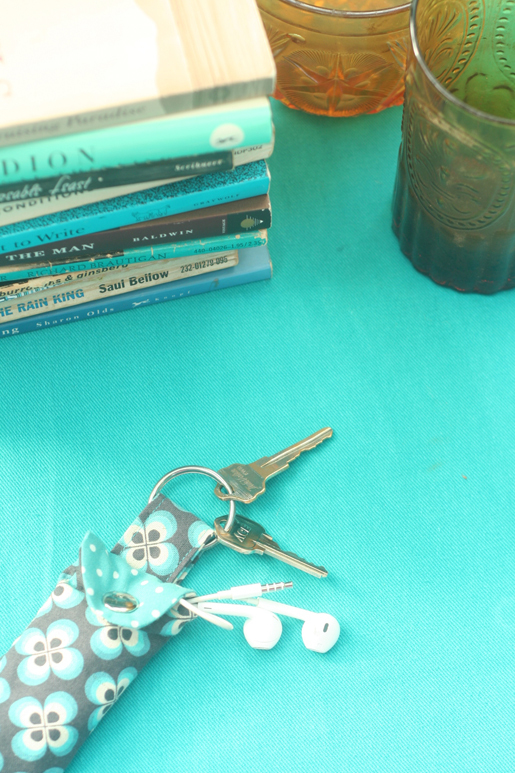 The little tote bag is the perfect size for holding a few library books, crayons, or notebooks. Find the Little Girl Tote Bag pattern here. Need to carry more than just a small notebook to school? 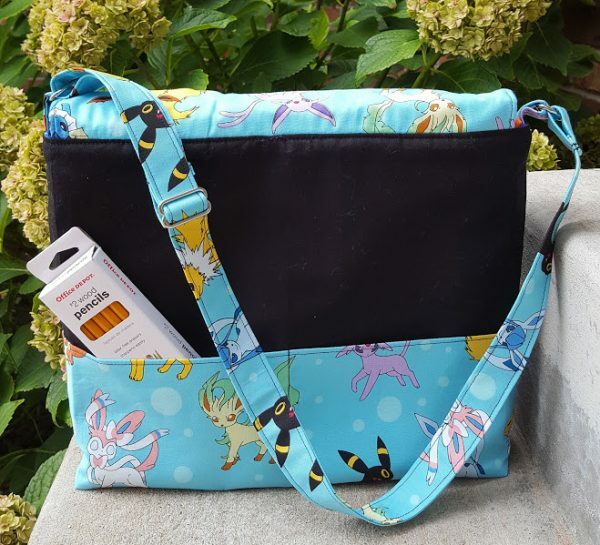 This kid-friendly messenger bag has lots of room inside for notebooks and binders, and extra pockets for pencils and pens. Get the DIY Kids Messenger Bag tutorial here. Laptops and tablets are must-have tools for high schoolers this year, and a custom made case can help protect your investment. 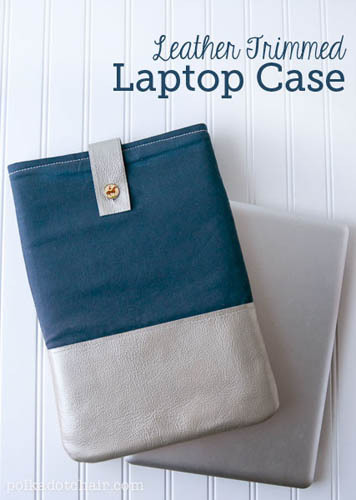 This handmade laptop protector includes leather (or faux leather) trim for a classy touch. Find the Leather Trimmed Laptop Case how-to here. This binder cover has a place for everything a student needs! Get the Binder Cover Tutorial here. This clever little earbud pouch includes a handy loop. Don’t lose those earbuds, attach one of these DIY Earbud Pouches directly to a backpack or laptop case! Zipper pouches are essential for high schoolers to hold pens, pencils, protractors, or any other little tool. 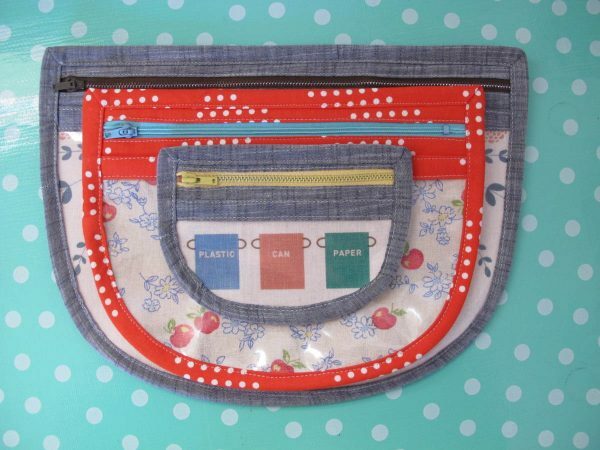 This clever zip pouch is made from colorful selvage fabric edges (you may be able to dig some of these out of your stash!). 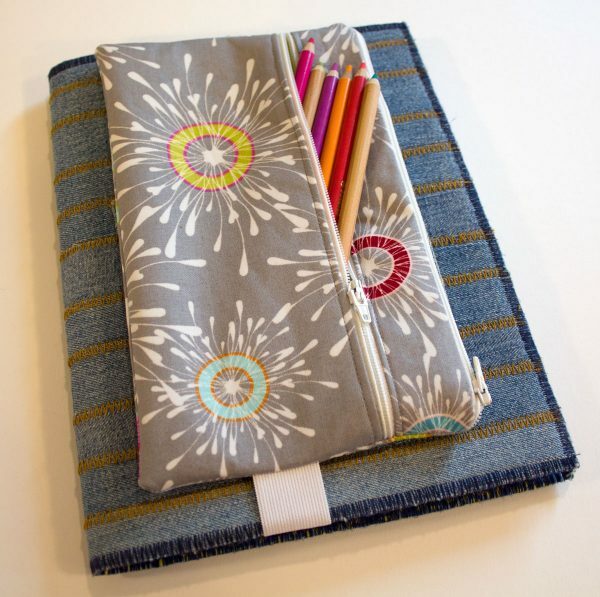 Get the Selvage Zip Pouch Tutorial here. 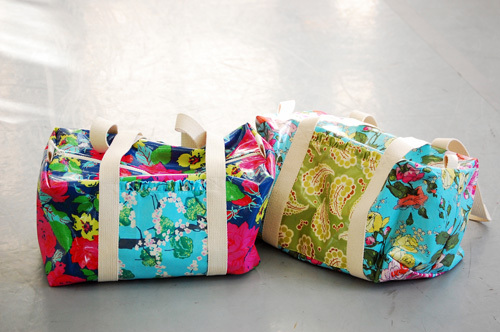 These pretty duffle bags help keep damp athletic wear contained until after practice! Create your own Ruffle Duffle Bag with this tutorial. Make a set of customized luggage tags to mark all of your college student’s luggage, bags, or milk crates. 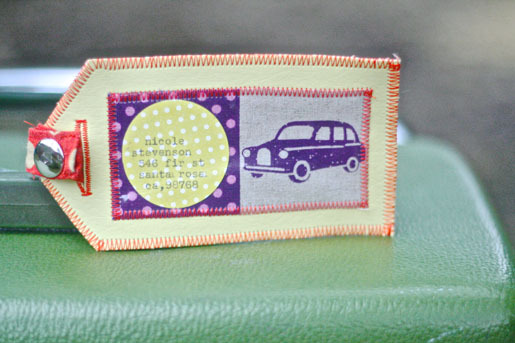 Find these simple to make Luggage Tags here. 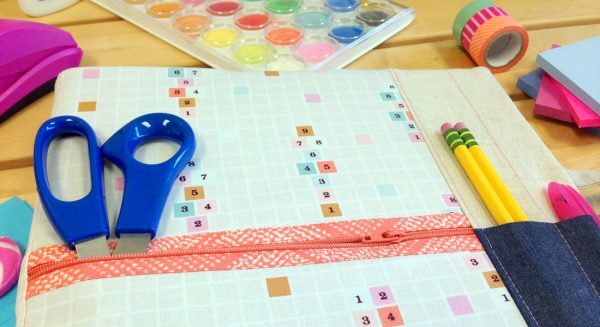 Help your student stay organized by making a set of fabric bins. These bins can nest one inside the other when not in use. Get the Fabric Bin tutorial here. 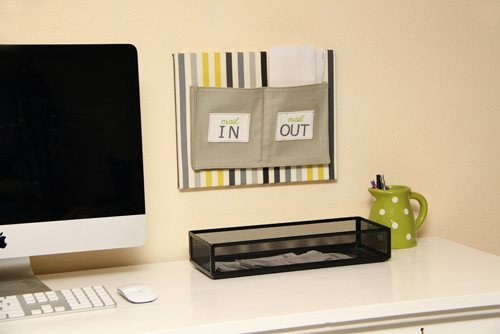 This handy organizer can help keep letters and bills organized and off of the study desk. Find the DIY Mail Organizer tutorial here. This clever pencil case has two zippered pockets and an elastic band to attach to any binder or book. 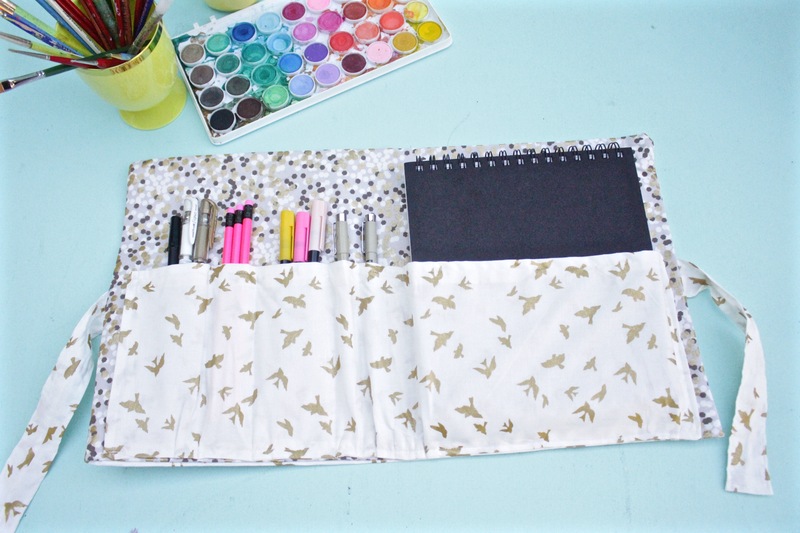 Get the Two Pocket Pencil Case Tutorial here. This oversized tote bag is perfect for carrying a laptop, tablet, books, binders or other class supplies. Change up the fabric to suit your student! Read the Criss-Cross Tote Bag Tutorial here. This set of fun zip pouches with a clear vinyl side to see what’s inside are perfect no matter what kind of class you’re taking! They’ll hold bobbins and sewing supplies, pens and pencils, or your thumb drive and charger cord. Go to the Rounded Vinyl Zip Pouch Tutorial here. Do you take a painting, drawing, sketching, crochet or knitting class? 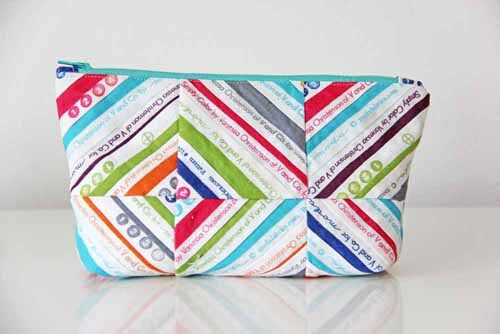 Keep all of your colored pencils, markers, hooks or needles organized in this handy tool roll. Find the Tool Roll-up Tutorial here. If you use your iPad or tablet for continuing education or watching online classes on-the-go, make a handy tablet holder to keep track of your device, earbuds, and charger. 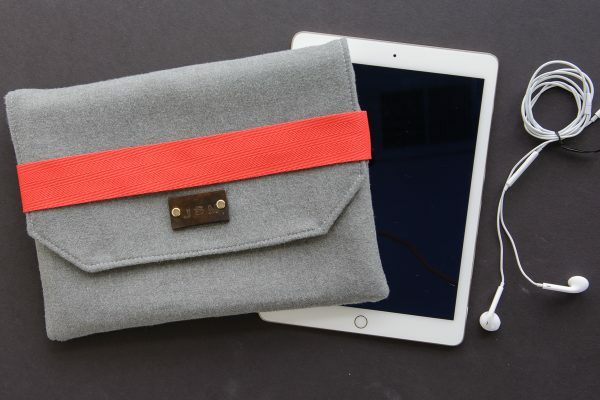 Learn How to Sew a Wool Tablet Cover right here. This simple journal holder makes the perfect place to store your stuff for journaling or sketching class. Get the Journal Cover Tutorial here. 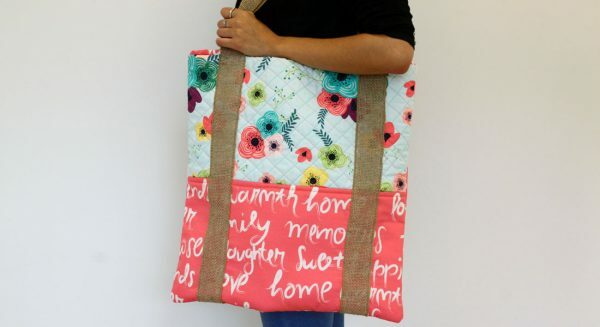 It can be hard to tote big supplies to quilting and sewing class, but this oversized bag can handle it all! 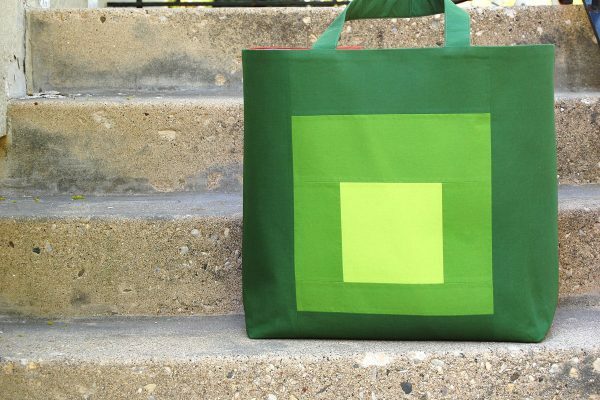 Make a colorful Color Block Tote Bag with this tutorial.